Made to fit children's hands. 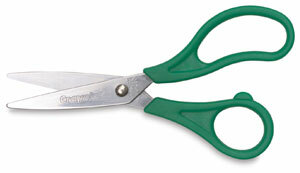 Curved handle improves cutting comfort. Blunt or sharp end blades. 5-1/4" long, 1-1/2" cut.